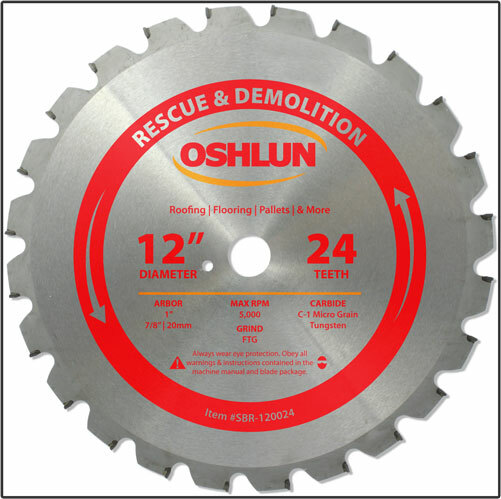 Our rescue and demolition blades have been designed with a reinforced shoulder design, heavy duty steel plate, negative hook angle, and fracture resistant carbide tips. 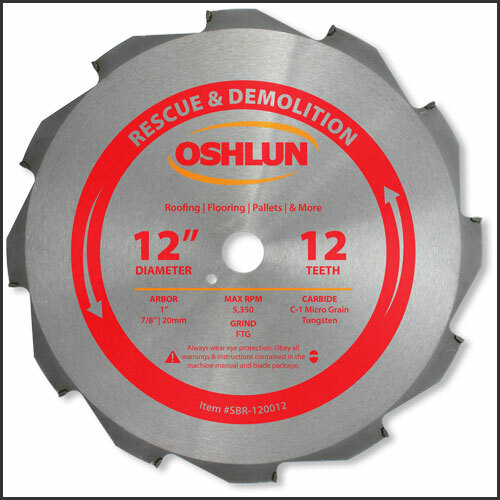 This allows them to cut through most building materials including roofing, shingles, thin nonferrous metals, and wood with embedded nails. 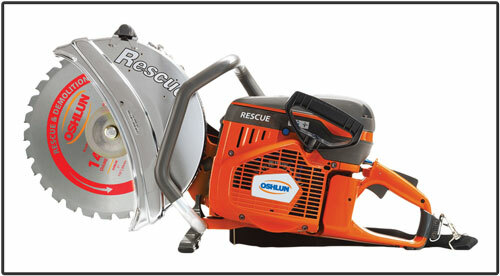 These blades are very popular with firefighters for rescue operations and general demolition work. 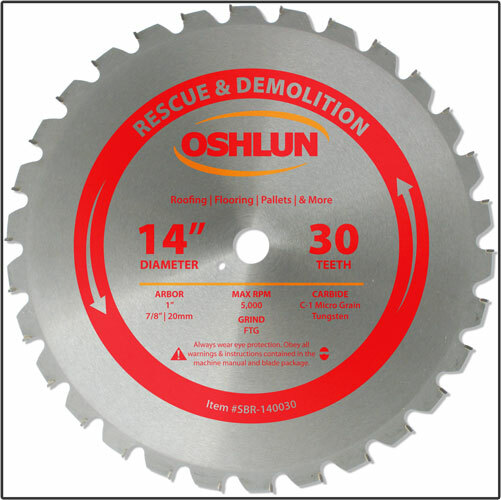 WARNING: Never use these blades on multi-purpose cutoff saws, including gas powered, unless the saw has a guard that completely covers both the upper and lower half of the blade. This guard must extend to the lowest point of the cutting teeth on the bottom of the blade. Read and follow all instructions that came with your machine. Use with extreme caution and care.